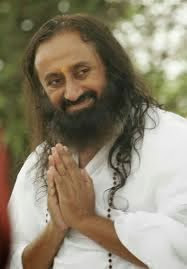 Sudarshan Kriya is a unique rhythmical breathing process that is said to have been revealed to Sri Sri Ravi Shankar during a spell of silent meditation that he had gone into for 10 days in 1982. The theory is that the kriya allows a healthy and pleasant mind to produce chemical messengers, which travel from the nervous system to the immune system, resulting in the overall betterment of both body and mind. SK and P increased natural killer (NK) cells significantly (P <0.001) at 12 and 24 weeks of the practice compared to baseline. Increase in NK cells at 24 weeks was significant (P <0.05) compared to controls. There was no effect on T-cell subsets after SK and P either in the study group or among controls. SK and P helped to control the tobacco habit in 21% of individuals who were followed up to 6 months of practice. We conclude that the inexpensive and easy to learn and practice breathing processes (SK and P) in this study demonstrated an increase in NK cells and a reduction in tobacco consumption. When confirmed in large and randomized studies, this result could mean that the regular practice of SK and P might reduce the incidence and progression of cancer.